« Was Steve Jobs WWDC Speech The Worst Keynote Ever? Microsoft Zune, meet your biggest fan. mszunefan, the self-described King of Zunes, has a new tat to show off. Whether or not you think it’s Zunetastic or Zunetarded probably depends a lot on what you think of Microsoft’s not-so-warmly-received portable media player. 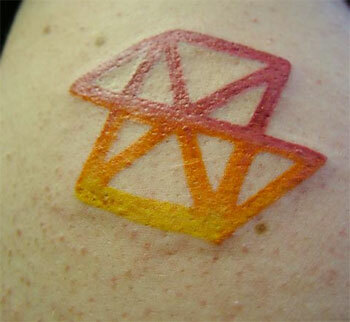 We checked Flickr to see if anyone had posted photos of a comparable iPod tattoo. Though we found tattooed babes, hunks, sock monkees and pirates tagged with “ipod”, we didn’t find anything. Anybody have an iPod tattoo? Let us know in the comments! Thanks for ruining my dinner. Nope, don’t no anyone with an iPod tattoo, but there are several people with Keith & The Girl tattoos. How about that? 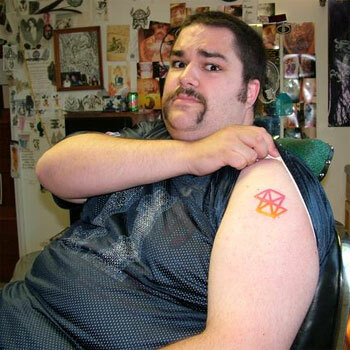 I got two Zune tattoos within a week of each other and I am planning on a thrid zune related tattoo. Thanks for the coverage about it with as little fat jokes as possible, can’t say as much for engadget, lol.